Golden State has broken the wins record, Kobe Bryant went out after the most Kobe Bryant-esque performance ever, and the NBA’s regular season is in the book. Rarely are there seasons that feel more like we’re just running out the clock until playoff time, but we have finally arrived at our destination. 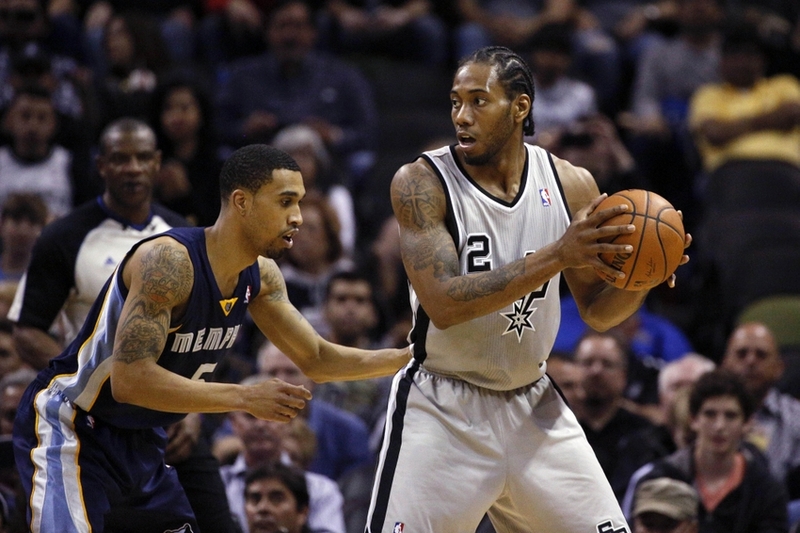 Here are the big questions and HBT’s predictions for the NBA’s round of 16. How long will it take the Rockets to give up completely? Round 1 starts with a rematch of 2015’s Western Conference Finals. The Rockets should be given some credit for pulling themselves together down the stretch just to get into the postseason, but let’s not overthink this. This is a historically great basketball team against one of the league’s most disappointing outfits. 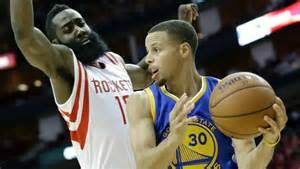 Houston has been a discombobulated mess on and off the court all season and Golden State will roll. There may be a fun game or two where Curry and Harden trade baskets, but there is real potential for this one to go off the rails early for the Rockets. Don’t be shocked if Houston has thrown in the towel before the series goes to Texas. What happens when an all-time great team plays a collection of borderline NBA players? Memphis’ Dave Joerger is a very good Head Coach, but the Spurs are nearly as good as the Warriors and the Grizzlies are just too injured. This one is going to be an absolute bloodbath. If Memphis can find a way to win one game, they should leave the playoffs with an immense feeling of pride. Can Rick Carlisle make this a competitive series? Dallas’ Rick Carlisle is, for my money, second only to Gregg Poppovich in the NBA Head Coaching ranks. He’s made a career out of overachieving and he has his work cut out for him in this series. Oklahoma City is not a worst-case scenario matchup for Dallas because the Thunder never run lineups that won’t allow Carlisle to hide Dirk Nowitzki on defense, but it’s definitely not a favorable one. 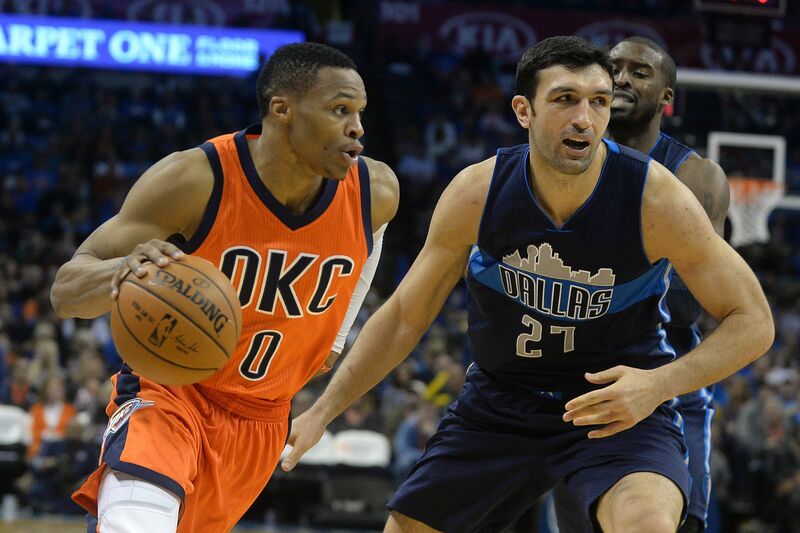 Dallas is an old, banged up team and OKC’s freakish athleticism in multiple spots poses a big problem for them. Carlisle is amazing and Billy Donovan has been largely unimpressive in his first NBA season, but Oklahoma City could and should win this series convincingly. Dallas could really make them earn it, though. Just how good are the Trail Blazers? Los Angeles is a much more talented team than Portland top-to-bottom, but the Trail Blazers have been the NBA’s biggest surprise this year. Portland’s feel-good vibe and the Clippers’ ongoing habit of not being as good as you would expect has led to a lot of chatter about a potential upset here. Unfortunately, this series is a bad matchup for the Trail Blazers. Damian Lillard and CJ McCollum have been a wonderfully effective backcourt pairing on offense, but they’re going to have a lot of problems defending Chris Paul and JJ Redick. 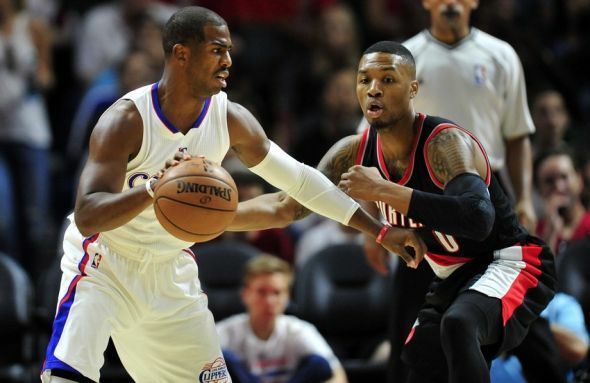 The Blake Griffin-DeAndre Jordan pairing also presents size problems for the Blazers. LA’s pick and roll game should be brutally effective here. Portland generally likes to drop their guards under the screener against the pick and roll. That can’t happen against pull-up shooters as good as Paul and Redick. It’s been a great season that Terry Stotts and the Blazers organization should be very proud of, but they won’t be advancing out of Round 1. Can Tyronn Lue figure out how to use LeBron, Kyrie, and Love together? 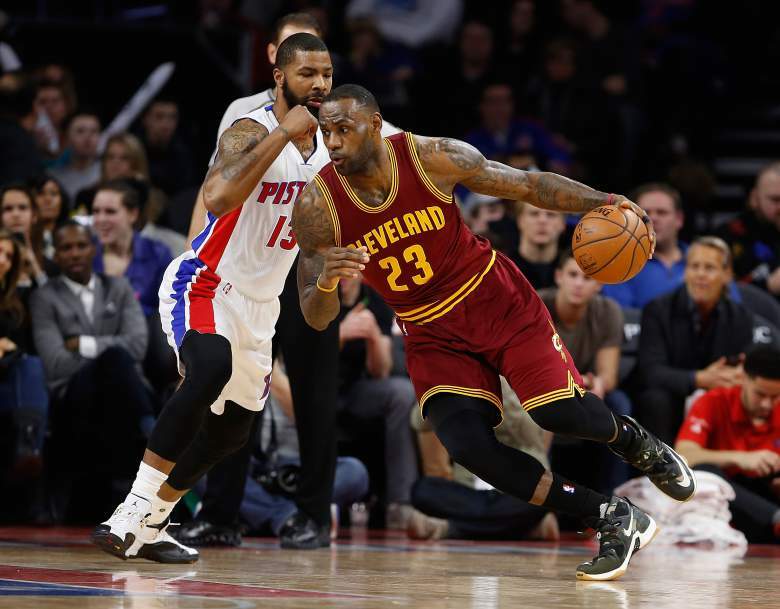 Cleveland is the Eastern Conference’s prohibitive favorite and they have way too much talent to lose in this series that features a scrappy Pistons team and one of round 1’s most lopsided coaching matchups. The Cavaliers have been in Win Now Mode ever since LeBron relocated and the only chance they have to achieve their goal of winning the title is figuring out how to get their three best players going at the same time two full seasons into Cleveland’s Big 3 experiment. In case of emergency, LeBron has an extra gear, but he probably won’t need it. 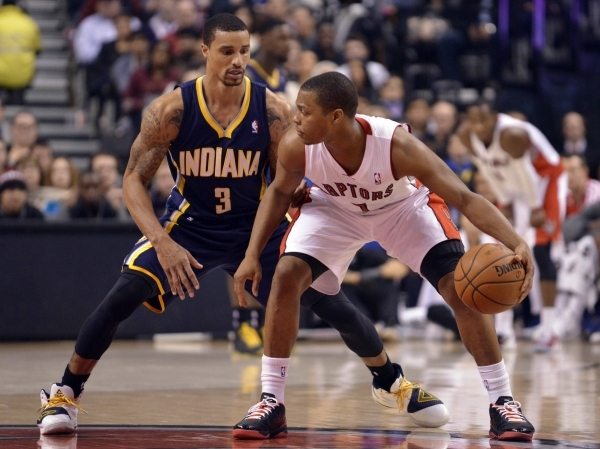 Can George Hill and Paul George neutralize Toronto’s backcourt? The Kyle Lowry-DeMar DeRozan backcourt pairing has driven Toronto’s surprising success all season long. But, the Pacers have two players who can go toe-to-toe with them. George Hill can guard Kyle Lowry. Paul George can guard DeMar DeRozan. Toronto struggles on defense with big, rangy, physical wings like George, but Indiana cannot score a basket to save their lives. For the Pacers to have a chance, Lowry and DeRozan have to be shut down every night. Even that might not be enough with how bad they figure to be scoring the ball. Does Dwayne Wade still have an extra gear? Charlotte has quietly been awesome this season. Kemba Walker has taken a big step forward. Al Jefferson has settled into bench duty to become the centerpiece of a great second unit. Nic Batum has been his typically solid 3-and-D self. Even Marvin Williams, of all people, has been great for them this year. Miami, on the other hand, has scratched and clawed their way to a very good season under trying circumstances. No Chris Bosh really hurts them here and Dwayne Wade is going to have to lead the way if they’re going to win this series. Wade is 34 now, and Erik Spoelstra has transitioned him to a late-career workload this year. Wade has managed to stay healthy, but is only averaging 30 minutes/game. That may not be sufficient. Does Wade have a few superhuman games in him left? That may be enough to get Miami through. Is this Isaiah Thomas’ coming out party? Mike Budenholzer vs. Brad Stevens in a matchup of up-and-coming NBA coaches. Boston’s most obvious offensive flaw is that they are not a great shooting team. They will be able to get some second chances, though, as Atlanta’s biggest flaw is that they are terrible on the boards. Atlanta has one of the strongest defenses in the NBA, ranking 2nd in defensive efficiency this year. The one Hawk who is prone to occasional lazy nights on that side of the floor is point guard Jeff Teague. 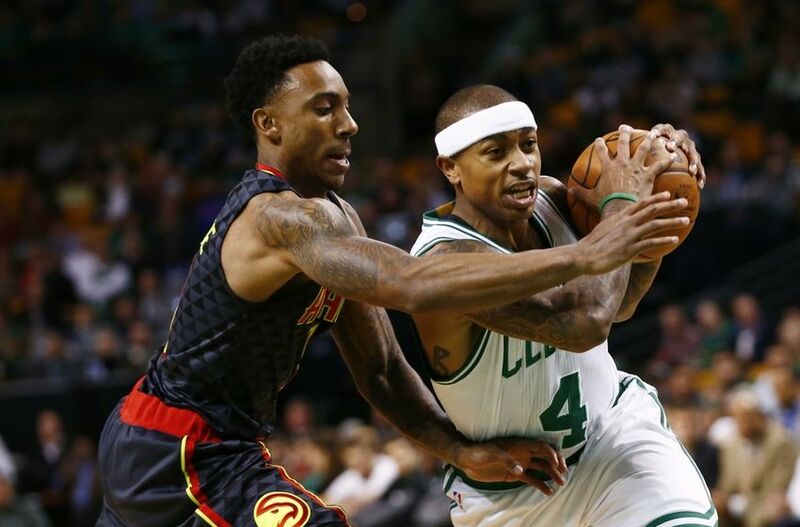 His matchup in this series, Boston’s Isaiah Thomas, has been awesome all season. When Thomas is effectively driving and distributing the ball, Boston’s offense purrs. In order for Boston to pull an upset here, Thomas is going to have to announce himself on the postseason stage with a triumphant showing. Atlanta’s key matchup advantage here will be Paul Millsap’s versatility. Millsap can play big or small and for all of Stevens’ X-and-O wizardry, there’s no lineup he can run that gets Paul Millsap off the floor. Prediction: After going back and forth for an hour, Atlanta in 7. This one is so very close.